This statement of disclaimer states the limitations of Sarawak Sports Corporation (SSC) and Sarawak Sports Council from any forms of liability for the use of the official website of Sukan Sarawak (SukSar) 2017 and all forms of information that it may contains. By using this website will means that you have understood and agreed to the terms and conditions as stated in this disclaimer. The information contained in the official website of Sarawak Sports Corporation (SSC) and Sarawak Sports Council is for general knowledge and viewing purposes only. The general information provided is generally to promote awareness and knowledge on SukSar 2017. 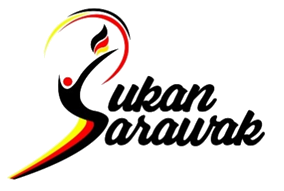 Sarawak Sports Corporation and Sarawak Sports Council in any event or circumstances, will not be liable for any inconvenience, loss or damage including without limitation, indirect or consequential loss or damage, or any loss or damage whatsoever arising from loss of data, privacy infringements or profits arising out of, or in connection with, the use of this website. Sarawak Sports Corporation and Sarawak Sports Council in any event or circumstances, will not be liable for any inconvenience, loss or damage including without limitation, indirect or consequential loss or damage that may arising through the use of links to other websites which are not under the control of Sarawak Sports Corporation. The inclusion of any links is based on prior consent and approval of the respective website owners and it does not necessarily imply a recommendation or endorse the views expressed within them. Sarawak Sports Corporation (SSC) and Sarawak Sports Council will take every effort to keep the website updated, up and running smoothly but it does takes no responsibility for, and will not be liable for, the website being temporarily suspended or unavailable due to technical issues beyond its control.